izzit.org News: Pups of Liberty Producers/Animators Visit Us! Pups of Liberty Producers/Animators Visit Us! 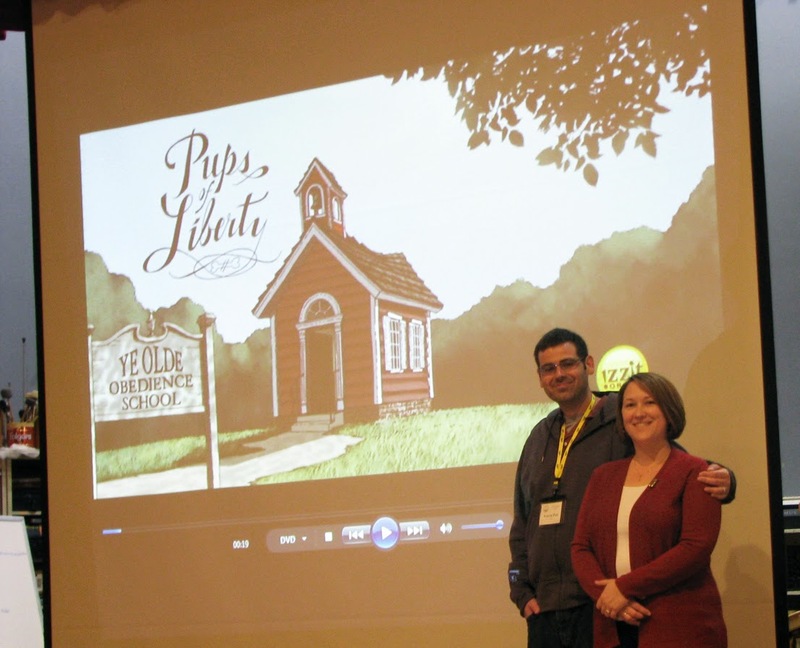 Jennifer & Bert Klein, producers/directors/lead animators of our "Pups of Liberty: Boston Tea-Bone Party" DVD, are in town today, visiting our offices. 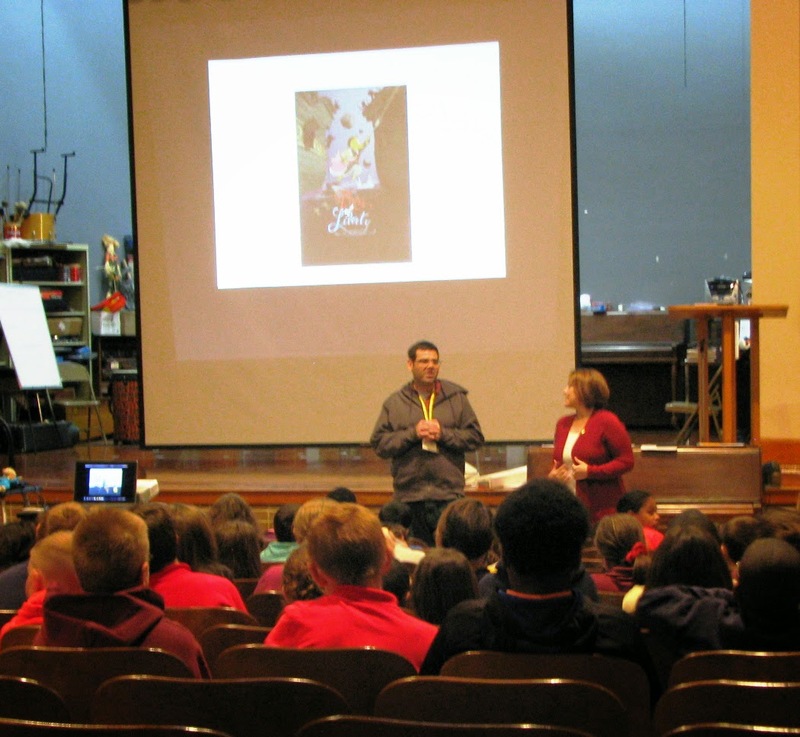 This morning they spoke to a group of 5th graders at Grover Cleveland Elementary School in Erie, PA. Here are some pictures of them from the trip. The kids were spellbound by Pups, and they were treated to a sneak-peek at the next Pups of Liberty, which we're working on now. "Pups of Liberty: The Dogclaration of Independence" should be released next fall! The Kleins also taught the students the basics of animation. This is the Kleins before the presentation. This is just after the students finished viewing Pups of Liberty. They were absolutely spellbound by the video! We gave away several copies of the video to students. Jen & Bert autographed them for the kids. 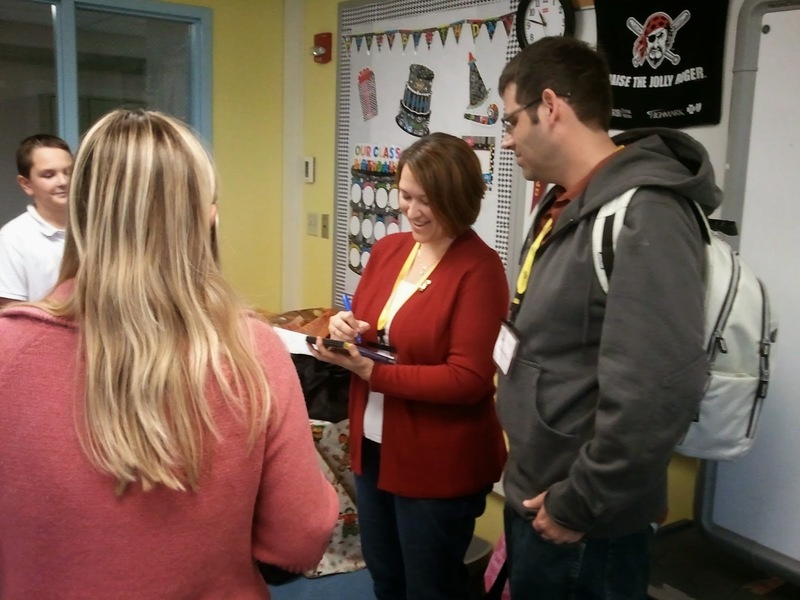 It was a fantastic opportunity for us, and we're very thankful to Grover Cleveland Elementary school, and all of the 5th grade teachers, especially Ms. Conrad!